KCB's quest for a third successful Kenya Cup title has been dealt a huge blow as key winger and Kenya International Darwin Mukidza is set to be sidelined for a minimum of 12 weeks after undergoing a surgery. Mukidza underwent a knee surgery in mid-March which has seen him miss wins over Menengai Oilers, Tatu City Nondies, Stanbic Mwamba RFC and the remaining part of the season. The Osteochondral injury affects the lateral patella-femoral joint. Patella alta with Hoffa's fat pad edema according to his medical report from Kijabe Hospital where he went for surgery. He sustained the injury during last year's Impala Floodlit tournament against Homeboyz, a game he didn't finish but was able to manage the injury thereafter. Playing at the 2019 Rugby World Cup repechage worsened things for Mukidza's knee but was again able to contain it and move to this season's Kenya Cup. The injury has limited Mukidza's ability this season as he says he couldn't do some of the things he's used to in helping KCB. "I have not been at my best this season due to the injury. I have struggled to score like in the last couple of the seasons as I have been trying to manage the injury. 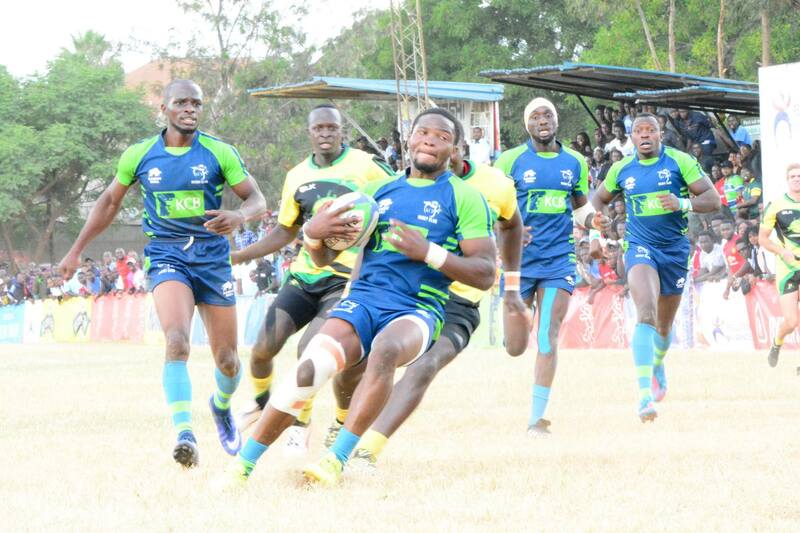 Things moved from bad to worse for Mukidza in the 44-20 win over rivals Kabras Sugar ay Impala Club as he couldn't finish the game due to the injury. "I was advised now I have to go for surgery or this could be a career-ending injury. I will miss the rest of the season." "Of course I feel bad to be missing the last part of the season, which will include the final, but this gives me a chance to heal the injury and I will come back strong during the Sevens circuit. I can't wait for the Sevens Circuit, I will be who I am." In Mukidza's absence, Isaac Njoroge, who replaced him against Kabras and Tony Onyango have been fielded at fullback by KCB head coach Curtis Olago. They convincingly won against Nondies but matches against Menengai Oilers and Mwamba have been won by not more than nine points. Mukidza has been one of Kenya's best players guiding KCB to back to back Kenya Cup titles where he was the league's top points scorer for the past three season and second top try scorer also in the last three. He is also one of Kenya Simbas' top performing players helping the national 15s side to Silver medal at the 2018 Africa Gold Cup and qualification for 2019 Rugby World Cup repechage. KCB's remaining matches are against Kenya Harlequin at home and Homeboyz away as they seek to secure a home semifinal. They currently sit second with 64 points, same with Kabras who lead on points difference.